Here's a delightful way to introduce your little ones to Jesus in the Eucharist. 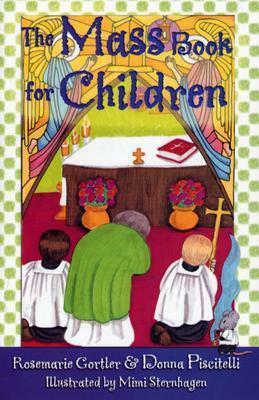 With its captivating writing style and charming art, The Mass Book for Children not only teaches young children the parts of the Mass, but also shows them why joining in this joyful gathering is an experience of love. Entertaining and educational, The Mass Book for Children is perfect for home or classroom. Go to page 52 to find out more about these other books, also by written by Rosemarie Gortler and Donna Piscitelli, illustrated by Mimi Sternhagen, Just Like Mary and Little Acts of Grace.